How big is San Francisco? In 2007 it had an estimated population of 764,976 people, making it the 14th most populous city in America. That would be English and the American Dollar. 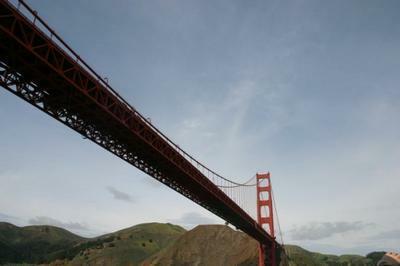 What is San Francisco’s number one attraction? Contrary to what you may be thinking, Fisherman’s Wharf is officially San Francisco’s most visited attraction. What is there that makes it so popular? Lots of things – the entire wharf incorporates 10 blocks and nine different piers, the most famous being 'Pier 39'. Here you will encounter street entertainment, the city’s ‘Aquarium of the Bay’, endless shops and restaurants and the famous sea lions. Other things worth seeing around Fisherman’s Wharf include the Maritime Museum and Ghirardelli Square, while the stalls selling crabs and other seafood are an attraction in their own right. The wharf is also where Bay cruises and ferries to Alcatraz depart from. Erm, you could say that…there are three other ‘biggies’ that could be filed under ‘unmissable’. 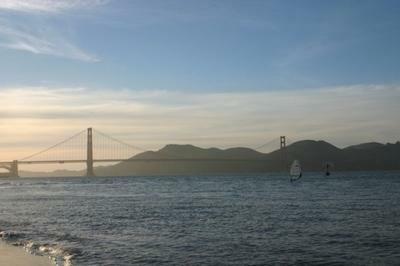 The first of these is the Golden Gate Bridge which is one of the world’s most beautiful structures. Spanning a distance of 1.7 miles, one of the nicest ways to spend an afternoon in this city is to stroll down Golden Gate Promenade in The Presidio (the park before the bridge) before walking across the bridge and back. 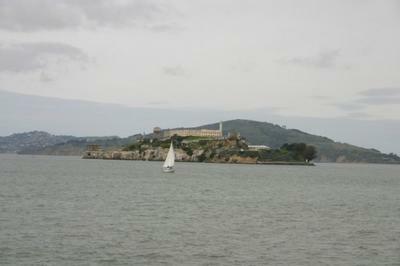 The second is Alcatraz, the most famous prison in the world. 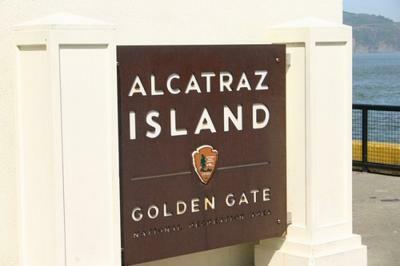 Formerly a military base, in 1947 it became a prison and over the 40 years it operated as a federal institution it housed criminals such as Al Capone, George ‘Machine Gun’ Kelly and Robert Stroud, the ‘Birdman of Alcatraz’. Tours (which depart from Pier 33) include award-winning audio guides that really give you a feel for what it was like there when it still had inmates. The third of these ‘biggies’ is San Francisco’s celebrated cable cars. Invented in 1873 by Englishman or Scotsman (there are reports that he was either) Andrew Smith Hallidie after he saw a horrifying incident where five horses were killed, there are now three lines which operate throughout the city. Two leave from Powell Street in downtown San Francisco (Powell/Hyde Line and Powell/Mason Line) while the third, the California Line, runs up and down California Street. No San Franciscan visit is complete without a ride on a cable car. I’ve been told some of the city’s suburbs are also big attractions? You were told right. San Francisco has some of the United States’ most intriguing neighbourhoods which should be pencilled in on your itinerary. 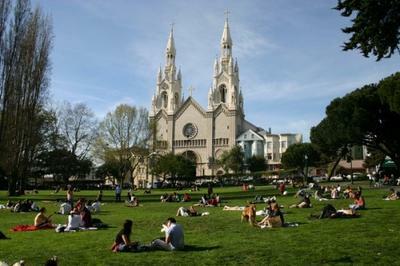 These include North Beach (the city’s Italian quarter), the Castro (arguably North America’s best-known gay neighbourhood), the Mission (where you’ll find a plethora of bars and restaurants) and Haight-Ashbury, America’s best-known hippy hangout. Oh, and San Francisco’s Chinatown is the largest one in America. 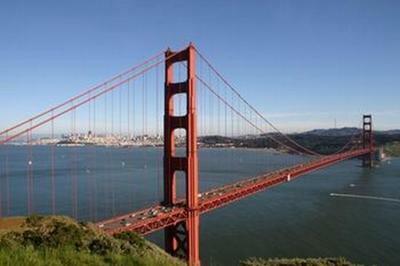 Yes – don’t call San Francisco ‘Frisco’. The locals despise it. In fact, legendary San Franciscan figure Emperor Norton suggested in 1872 that anyone who refers to the city as 'Frisco' when they know better should have to pay a fine of $25. Unlike many cities in the States and around the world, downtown San Francisco isn’t where it’s at when it comes to going out. The Mission District and SoMa (south of Market) are widely regarded as the hippest parts of San Francisco once the sun sets. Take the BART (San Francisco’s metro) to 16th St and once you walk out of the station you’ll soon find lots of bars. 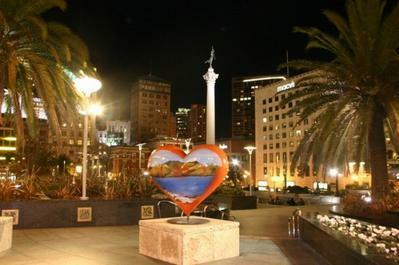 North Beach is also known for its bars, as is Haight-Ashbury – Haight Street has lots of bars. Absolutely. In America even those who are people who are follicly challenged are asked for identification to prove they’re over 21. Hobson’s Choice (1601 Haight Street, Haight-Ashbury) is one of the Haight-Ashbury’s coolest hangouts, and in the Mission Dalva (3121 16th St, Mission) is a small bar, but one that attracts people who you know hang out in the coolest spots. Nearby in SoMa, Wish and Holy Cow are side-by-side on Folsom St and are good for dancing. Is it expensive to eat out in San Francisco? Only in the real touristy places like Pier 39. In saying that, though, Chinatown, which is probably San Francisco’s most visited neighbourhood, has a bunch of affordable restaurants. North Beach, once the city’s bohemian district but now the city’s Italian quarter, has countless places to eat. Many of these can be found along Columbus Avenue. Around Washington Square in the same neighbourhood has many places to eat. Yes, very much so. As you now know, you’ll find lots of Italian restaurants in North Beach. And unless you’re not the sharpest tool in the box, you’ll know that Chinatown has lots of Chinese restaurants. The Mission has lots of Mexican restaurants although you’ll find all other sorts also, such as Indian and Italian. To make sure you’re not left hungry in San Francisco, if you plan on eating out you should attempt to be in a restaurant before 10pm on weekdays and before 11pm at the weekends. The Crepe House on the corner of Post and Taylor Streets in the city centre is a great place to start the day. A bagel with a coffee or cup of tea there is the ideal order. For a good lunch, grab a sandwich from Palermo Delicatessen (1556 Stockton Street) near Washington Square, and of all the places in Chinatown, we found Capital Restaurant (839 Clay St.) to be one of the better places. How many different modes of public transport are there in San Francisco? 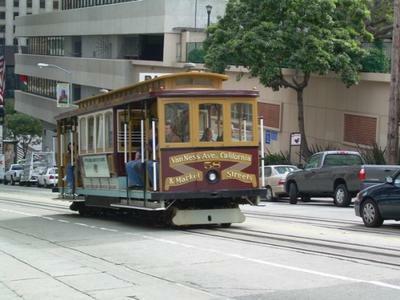 There are four types – cable car, trolley car, bus and BART (Bay Area Rapid Transit). BART operates the underground network but runs overground also. Trolley cars take you to the neighbourhood beside the Golden Gate Bridge and the Haight-Ashbury, among other parts of the city. 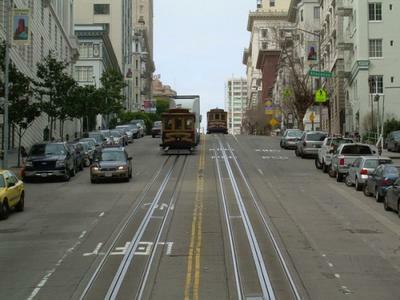 The best-known trolley car is the F-car which goes to the Castro. Obviously, the most iconic transport is the cable car. A one-way journey costs $6, which is quite expensive, but you just can’t leave without getting on one. If you get a One-Day Muni Passport for $14 you get unlimited rides on the cable cars, Muni buses and trolleys as well as free admission to the California Academy of Sciences, the Museum of Modern Art, the Aquarium of the Bay, the Exploratorium and more. 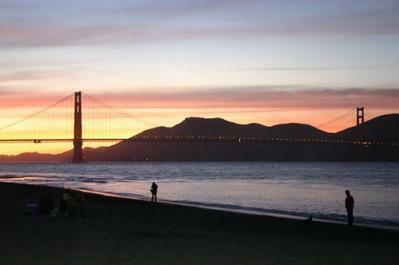 This place has something for everyone, from the Golden Gate Bridge to Alcatraz, Chinatown, amazing seafood and one of the oldest LGBTQ scenes in the USA. And if you’re a museum-lover then this is definitely the place for you. The city of San Francisco is a beautiful part of the world to visit at any time of year due to its warm Californian climate.